The largest of the Canaries is gearing up to host the fifth annual edition of the Tenerife Walking Festival. Taking place from 21 - 25 May 2019, the festival is now open for registration and hikers are being encouraged to sign up now. Thanks to the variety of routes on offer and the diversity of Tenerife´s natural beauty, the Tenerife Walking Festival is considered to be one of the most outstanding hiking events in Europe. 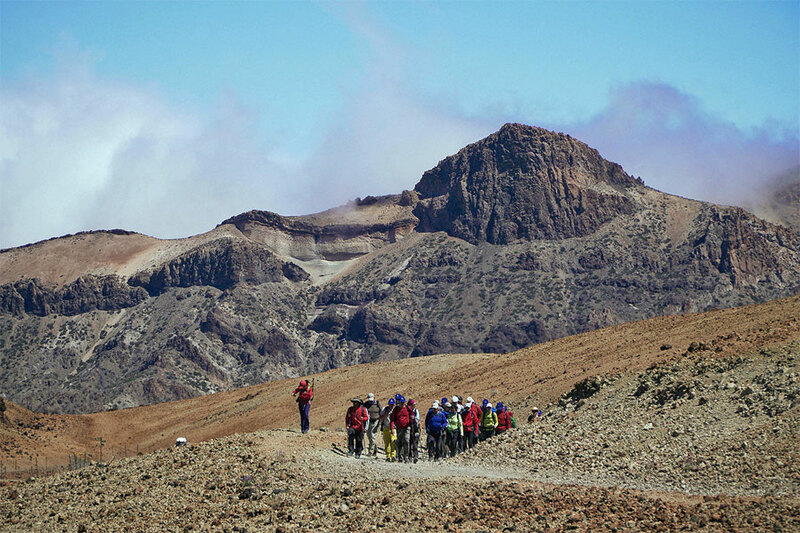 The Tenerife Walking Festival covers the island´s best trails divided into coastal, volcanic and forest hikes, which enable participants to discover a huge variety of terrain and protected landscapes. This includes the UNESCO-listed Teide National Park, which is famed for its remarkable volcanic scenery; the ancient laurel forest of Teno Rural Park; the charming village of Taganana, perched high above the Atlantic Ocean; and many more areas of stunning natural beauty. The Tenerife Walking Festival is aimed at families, groups of friends, couples and individuals and is a fantastic opportunity to meet like-minded travellers and explore the island. Registration costs €30 (approximately £26) and includes a welcome pack; daily transport to each trail; guided walks with a professional expert in Spanish, English, German or French; and a wristband to enjoy discounts in shops, restaurants, hotels and museums in Puerto de la Cruz, the festival’s home base. Participants must select at least three hikes prior to the event, which each have an additional cost.